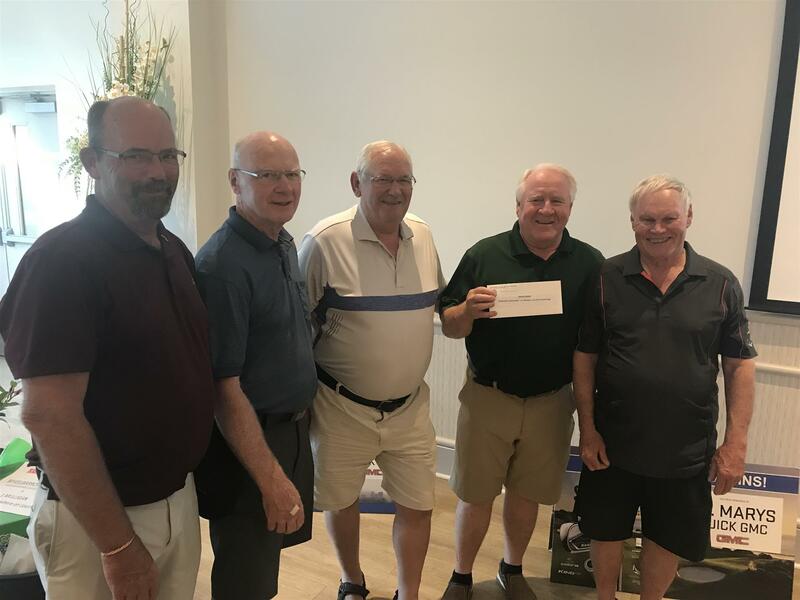 Winners of the Putting Contest: Team members: Mike Wraith, Jim O'Toole, Ken Telfer and Gerry Teahen were presented with their prize by Rotarian Doug Goudy. 2018 Rotary Golf Tournament Winners: Paul Noad, Matthew Awad, and Brent Costigan. Absent from the photo was Pete Morrison. The Noad team from London finished at 10-under along with the team of Stewart Grant, Chris Connolly, Clive Slade and Ian Boyd, The Noad team won the tie-breaker based on retrogression. -Two teams were tied, Cement Plant team and Teahen team -55pts. Tied teams used a coin toss to determine the prize winner which was the Teahen team. 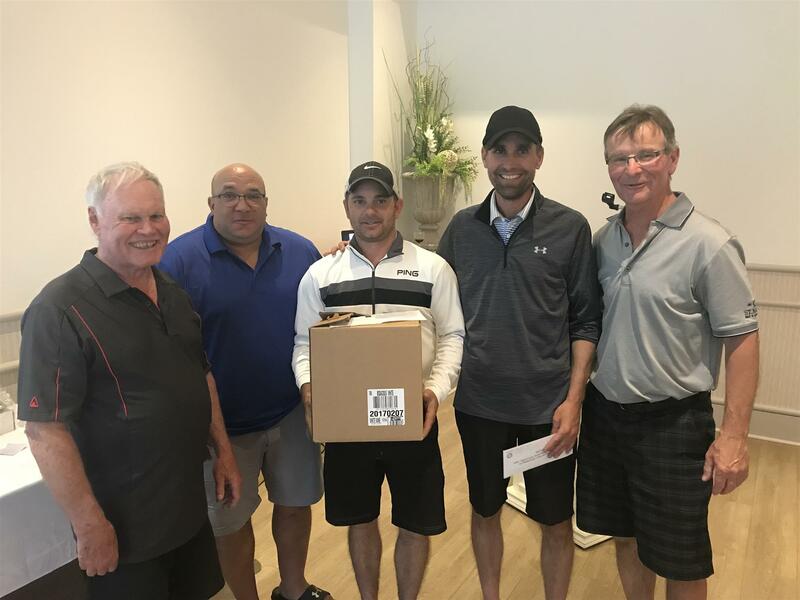 Team Grant and Team Noad were tied for low score – 62. Retrogression was used to break the tie.